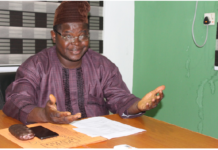 The national chairman, Association of Community Pharmacists of Nigeria (ACPN), Pharm. 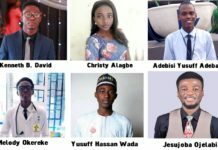 Samuel Adekola, has called on President Muhammadu Buhari to urgently assent to the Pharmacy Bill earlier passed by both chambers of the National Assembly, saying the bill would authorise the establishment of satellite pharmacies and the support of pharmacy education in the interest of the public. Speaking at a summit recently, Adekola called for concerted efforts to improve the social amenities in the rural areas to motivate community pharmacists to practise in rural settings. L-R: Mazi Sam Ohuabunwa, president, PSN; Pharm. Samuel Adekola, national chairman, ACPN, and Pharm. Lere Baale, chairman of the occasion at the summit. The number one community pharmacist in the country also called for a clearly defined scope of operation for patent medicine vendors and other members of the healthcare delivery system with regard to the handling of drugs, adding that the role and rightful place of each health team player should be defined and respected for the benefit of the general public. Adekola also called for the revitalisation of the ailing National Health Insurance Scheme (NHIS), noting that fees for services rendered by all providers should be paid directly by Health Maintenance Organisations (HMOs). He added that health insurance should be made compulsory as soon as all existing lapses are redressed, while the Pharmacists Council of Nigeria (PCN) should insist that only registered pharmacies are to be involved in the scheme. Adekola further stated that fees for services should be unbundled and kept by the HMOs, while pharmacist’s seal on prescriptions should be made compulsory to attract payment of all services, adding that NHIS should review drug prices annually in consultation with the ACPN. While thanking the leadership of ACPN nationwide for gracing the occasion, Adekola assured members of the objectives of his administration in shaping the future of community pharmacy practice in Nigeria by ensuring that a solid foundation is laid for the sustenance of every community pharmacist’s business, saying his utmost vision is to make every community pharmacy’s investment a trans-generational deal. He added that community pharmacists are highly esteemed and must thus justify the confidence of the public as they oversee the totality of medicine management and make referrals when necessary. 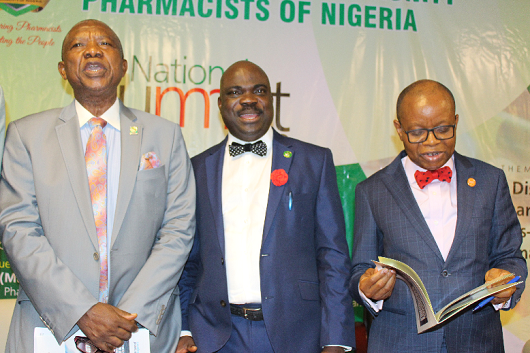 Affirming his commitment to ensuring community pharmacy practice in the country is improved, the elated Adekola said the summit was a history-making event for the evolution of community pharmacy in the country, noting that the selection of participants for the summit was not an easy task, as it took his team some time to arrive at the names of those selected. Addressing participants at the summit, the chairman of the occasion, Pharm. Lere Baale, commended the ACPN national chairman and his team for coming up with such a laudable programme, saying the challenges bedevilling community pharmacy practice today were born out of lack of ideas and innovations. He noted that leadership skills, as well as cultural values, are parts of the requirements for having a successful business venture, adding that any community pharmacist who takes more than the profit generated from the business, is stealing from the business, adding that successful business owners are those who have discipline and integrity. Also speaking at the event, graced by the leaders and representatives of all the interest groups of the PSN, the PSN president, Mazi Sam Ohuabunwa, said the summit was timely as it coincided with the period his administration was planning to start working on the best approach to reposition pharmacy practice for excellence. The keynote speaker, Dr Dumebi O. Mordi, principal consultant, Rx3.0 Pharmacy and Consulting, urged all community pharmacists to remember that “their worth is not found in their products but in their service.” She stated that pharmacists need to be paid for their services not their products because their real value lies in the knowledge that they have. She encouraged a paradigm shift from mere prescription to patient care. The summit, themed: “Innovative Disruptions in Community Pharmacy Practice: Creating Trans-generational Pharmacies”, had in attendance, other eminent personalities in the pharmaceutical industry, including Pharm. Lawan Moshood, director, Food and Drugs, Federal Ministry of Health, who also represented the Minister of Health, Dr Issac Adewole; Dr Ejiro Foyibo, PSN vice-president, South; Pharm. Deji Osinoiki, former chairman, ACPN Board of Trustees; Dr Albert Kelong Alkali, immediate past national chairman, ACPN. Other notable pharmacists present at the summit were: Pharm. (Alh.) Ismail Adebayo, former national chairman, ACPN; Pharm. (Sir) Anthony Akhimien, former president, PSN; Pharm. Remi Adeseun; Pharm. (Mrs) Bolanle Adeniran, chairman, PSN, Lagos State; Pharm. Folashade Lawal; Pharm. Chima Ogbu, and Pharm. Anthony Oyawole, among others.